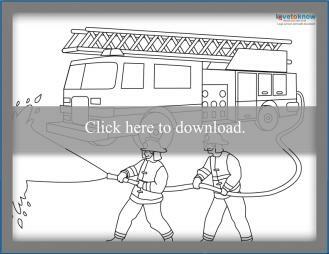 Whether you're using them for fun or using them to supplement fire safety and prevention discussions, these free printable fire truck coloring pages can help teach kids what firemen and firewomen do. Bring them out after a visit to your local fire station or when talking about what to do in an emergency. The following fire truck coloring sheets are free to print so go ahead and print as many copies as you'd like. To print, click on the image and it should open up as a PDF. If you need help downloading and printing the pages, try these helpful tips. The fun coloring page below features a traditional fire engine including the ladder and compartments. There's plenty of space for kids to draw firefighters or even a fire dog. This page shows firefighters putting out a fire with a fire engine in the background. This page would work great as a fire safety teaching tool at home or in a classroom setting. You can use these fun printables in several ways. As your little one colors in their picture, take some time to teach them about what firefighters do and fire safety. You can write fire safety tips on the back of the image and hang it up as a reminder for your children. Kids can also use these images to come up with a story of their own that they can write on the back of the picture, or have you help them transcribe. 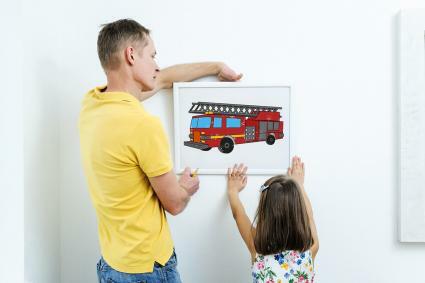 If your child really loves firefighters, you can print out a few fire truck pictures to color, then frame the finished images and hang them up in their room. If you're heading to a child's birthday party, you can have your little one write a birthday note on a picture they have colored for a unique card. 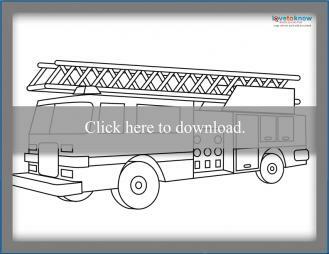 You'll find a large variety of fire engines to color on Best Coloring Pages for Kids. Fire trucks of different shapes and sizes and images with or without firefighters are available. Crayola offers a coloring page with two fire engines. Once the pictures are colored, kids can cut them out and glue one to each side of a milk carton to create a make shift fire engine. Hello Kids features several truck coloring pages, including a fire engine. The picture may be printed and colored or colored online. Apples 4 the Teacher has fire truck coloring pages designed for fire safety week at school. Kids can color them online or print them out to color. These bus safety printables have coloring pages and multiple printable activities. Teach kids about stranger danger with this stranger safety coloring page. Get ready for a new school year with back to school safety coloring sheets. Have fun in the sun with these summer safety coloring pages. Find many more pages free to print and color, from Mardi Gras printables to ballet pages, too. Coloring pages are a great learning tool that provides an opportunity for discussion as well as creativity. 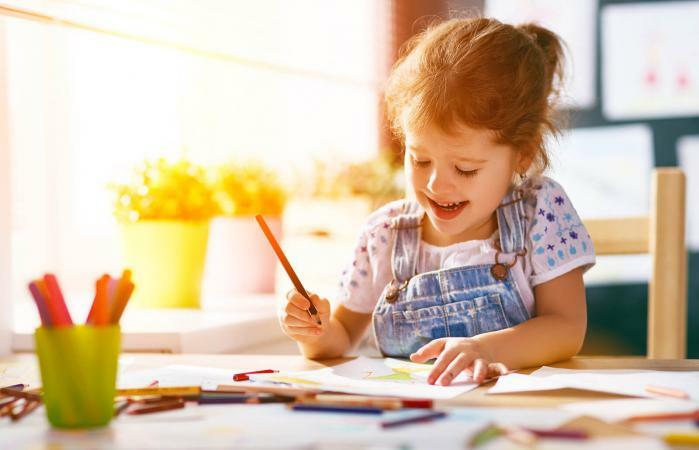 Help your kids get crafty with coloring pages by giving them a variety of items to decorate and color with such as sequins, colored pencils, glue, and glitter.